I am so honored that my sweet friends Lauren from A Teachable Teacher, Jamie fromPlay to Learn Preschool, and CarolMartinez from C is for Creative Classroom informed me that they nominated me for the Liebster Blog Award! The Liebster Award is where Bloggers nominate new bloggers for the award and give them the opportunity to share a bit about themselves. To accept the award I have answer a few questions and nominate 5 new blogs which won’t be hard. Thank you so much Lauren, Jamie, and Carol for nominating me! 1. What is your favorite classroom "tool"? -Special Education just donated an iPad to our classroom. That is definitely our new favorite tool. We use it everyday for fun and engaging activities! 2. What is the sweetest thing another school staff member has ever done for you? - My sweet friend Lesley was my mentor when I first started teaching, at the age of 22, and she was really there for me when I started teaching! So thankful for her! 3. If you could have any one item given to you for your classroom (with no price limit), what would it be? -Our classroom really has everything we need! So thankful for the great technology and programs that have been given to our classroom. If I had to say one item it would be a Smartboard. 4. When did you know you wanted to be a teacher? - In Kindergarten I was a peer buddy with a friend that had Down Syndrome. We were friends all though elementary school. Since I was little I have always wanted to be a teacher to help children. My Senior Year in high school was when God placed the opportunity for me to work in the Special Education classroom. That year will always be dear to my heart, because that is when God let me know the type of teacher I'd always had the passion to be. 5. What do you consider your best ever TPT purchase? - My QR Codes for Listening Stations. They have truly made our Daily 5 rotations run smoother. Kids just Choose, Scan, and Play. 6. Have you ever had a job outside of education? What was it? - When I was 16 I started working at Sonic Drive In and then in college I worked at Big B Cleaners. 7. What is the best gift you have ever received from a student/parent? - Whenever my kiddos make anything for me that just melts my heart! -Flair Pens are my absolute favorite! 9. When do you do the majority of your lesson plans? Are you way ahead or do you plan as you go? -Each grade level does team planning at our school. Once a week the grade meets to go over lessons. Each teacher plans for one subject and then once a week we go over plans. Since I teach Special Education I have several grade levels where my students are developmentally. I love planning with Second Grade on Thursdays after school and then I finish my plans on Fridays during my planning time or after school. 10. Are you involved in leading any extra-curricular activities at your school? -No, not at this time. 11. What is your favorite school outfit? -Fall wear! Love wearing sweaters and boots or a dress with leggings and boots. 1. I am 6 feet tall. 2. I was part of a group of four peer tutors that started a Special Education prom for our High School. Now the Special Education Prom has grown to consist of all the High Schools in our county. 3. Christmas movies are my favorite! I watch them year round. 4. My first time on a plane was to Hawaii, at 16, for a school trip with our Theatre department in HS. 5. My mom is my best friend. She is the most amazing woman I have ever known! 6. I love my malitipoo, Luke. 7. I love taking photos and creating scrapbooks. 8. I love watching football! Any game! 9. I am an only child. 10. I love working out, constantly keeping wholeness the main focus keeping spiritual and emotional health and connecting it to my physical health. 11. 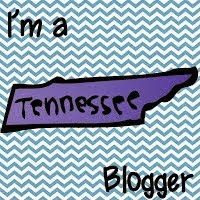 I love creating products for teachers on TPT and blogging. Alex at The Kindergarten Connection has a variety of post to inspire Kindergarten teachers. Her classroom looks like a lot of fun! Tara at Learning to Speak Autism's blog is exquisite! Tara's posts just melts my heart. I have really enjoyed reading her posts about her precious family and now her newest follower! Jen's Blog at 2nd Grade Snickerdoodles is packed with lessons that are fun and engaging! I have really enjoyed reading her latest post on her Owls unit. I think the photos and videos are very effective in this blog. For His Glory Teaching is Founded be Ashley & Amanda who provide a biweekly Scripture linky party on Sundays. I just adore these girls & just have an immediate connection with them. I love the pictures of their classroom & know any boy or girl would be very fortunate to have Ashley & Amanda teaching them. 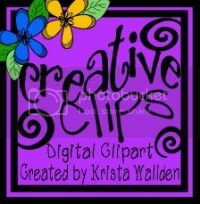 I just adore my sweet friend Cara's at Creative Playground blog where she can display here beautiful clipart. We connected when I found here clipart on TPT and she reached out about her precious little boy. I love knowing when she has new clipart sets available on TPT through her blog posts. I especially love her new Native American Thanksgiving set. 1. How long have you been teaching? What grade is your favorite? 2. How do you unwind after a long teaching day? 3. List 5 words to describe yourself. 4. What are your top 3 items on your bucket list? 5. If you weren't a teacher, what other career would you have? 6. Who is someone you'd love to meet? 9. Where is the best place you've ever traveled? 11. What is your favorite quote or motto? Thank you again for the kind bloggers that nominated me and everyone that reads this blog! Wow - I am so honored that you nominated me, that is so great of you and this sounds like a fun thing to participate in!! I loved reading a bit more about you, and I will have to visit the other bloggers you nominated too! I will start working on my post, and I will link back to you when I publish it!! :) Thanks again!! Answers are finally up! :) Thanks again for including me!